Enniskeen Country House Hotel is a mountainside hideaway; this family-run hotel rests in the lush Shimna Valley just outside Newcastle, Co. Down. Here you can explore the hotel's stunning 12-acre estate and winding woodland trail down to the Shimna River, enjoy the striking views over Northern Ireland's highest mountain Slieve Donard and the Irish Sea, or spot wildlife roaming the gardens. We thoroughly enjoyed our recent visit to the Enniskeen hotel. It is a delightful hotel in an absolutely superb location. The hotel is extremely clean with some nice period features add to this warm and friendly staff and you cannot fail to have a fun stay. Warm smiles welcome you and cosy open fires crackle as you relax in peace and quiet during the cooler months, while you can savour the Enniskeen's 'old world charm' as you let the world go by from the terrace in the summer months. 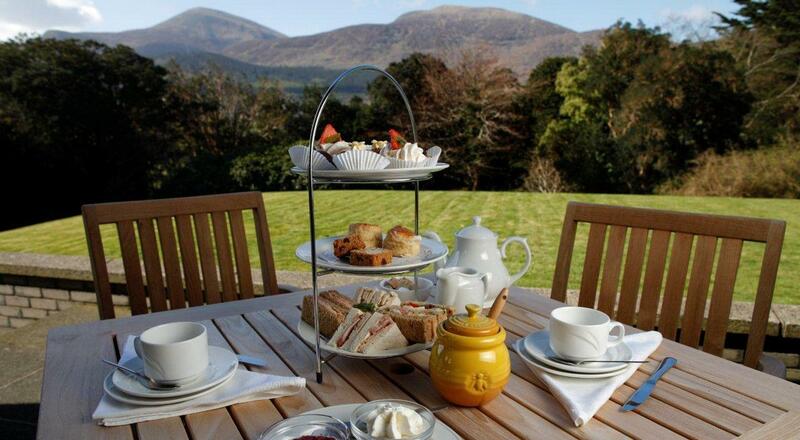 Treat yourself to the Enniskeen's signature Mourne Honey Afternoon Tea, enjoy delicious meals made from fresh local produce and fine wines, all served with an attentive personal service. Accommodation comprises of 12 traditionally furnished rooms, many with striking mountain and sea views; views that were an inspiration to C.S. Lewis when he wrote the 'Chronicles of Narnia'. Drift off to sleep knowing the only sound likely to awaken you is that of morning birdsong. Enniskeen Country House Hotel is just 45 minutes from Belfast and 1 hour 30 minutes from Dublin. 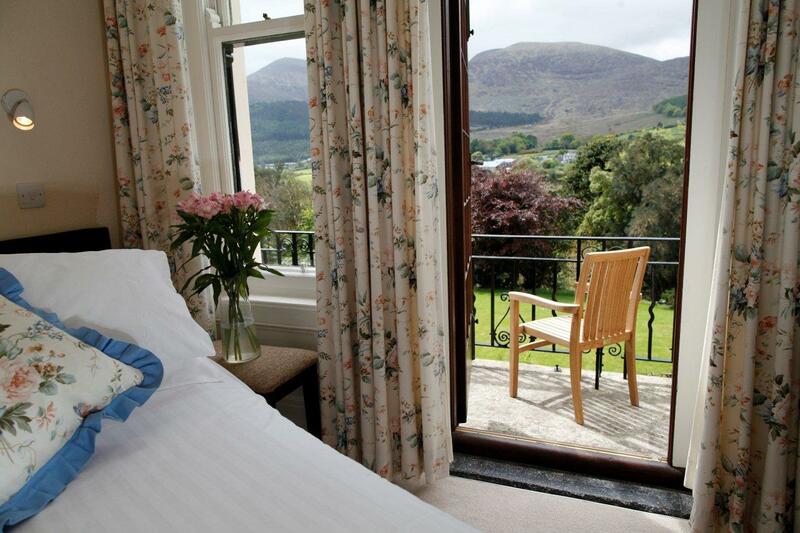 Conveniently located on the outskirts of Newcastle, Co. Down you are a stone's throw from the Royal County Down Golf Club, Mourne Foods & Films Cycle Tour, Tollymore Forest Park, and Murlough Blue Flag Beach & Sand Dunes. Other local visitor attractions include the Silent Valley Reservoir in the heart of the Mountains of Mourne, the St Patrick Centre, Downpatrick, and the stunning Castle Ward Estate on Strangford Lough. Enniskeen Country House Hotel has strong ties with the industrial revolution of Belfast and Northern Ireland - it was originally built as a private residence by leading tobacco and shipping rope manufacturer Robert Murray in the 1890s. Make the most of your free time and plan a holiday at the Enniskeen Country House Hotel to relax and revive. Enniskeen Country House Hotel is situated amidst beautiful, peaceful scenery overlooking the Mourne Mountains and the Irish Sea in Newcastle Co. Down. The views are intriguing and dynamic and you will very quickly become enamoured with the setting, character of the building, personal attention, glorious food, comfortable accommodation and a well stocked bar with drinks to suit every palate. 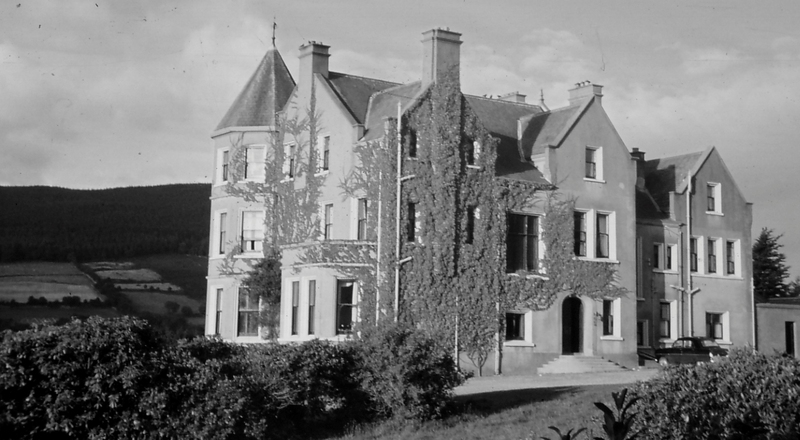 Enniskeen House was built in the late 1890s by R.W. Murray, a talented businessman from Virginia in the United States. Robert Murray emigrated from the US and was principal of Murray Sons & Co. Ltd tobacco manufacturers and director of Belfast Ropeworks Co. Ltd. At the time, Belfast Ropeworks was the biggest rope making manufacturer in the world and the Belfast ship building yard was also the largest in the World. Murray Sons & Co. was created as a firm due to the high demand for tobacco by sailors in Belfast port, and from there flourished to selling tobacco out to 45 Countries worldwide. Murray Sons & Co.